There are many users in your organisation who work remotely and do not actually log into a workstation or a laptop directly as such. Instead, they use their Active Directory credentials to access their emails via IPads that have been provided to them. You noticed that same users periodically call the Helpdesk informing that they are unable to access their emails. You also noticed it happens because users are actually unaware as to when their passwords are due to expire. Ensuring that users are able to access the resources allocated to them is very important in maintaining operational efficiency of business. Every time users are unable to access these resources (be it email, applications or files and folders) there is emerging user idleness which of course leads to a loss in productivity and eventually starts to cost business a sight of money. That’s not to mention all the time and effort given away by the Helpdesk answering support calls and resolving the issue. 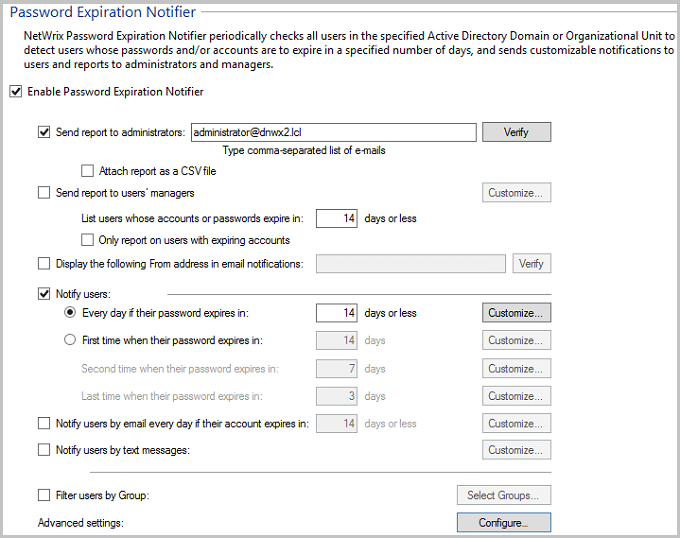 Netwrix Auditor for Active Directory can eliminate this problem by providing the functionality of sending out password expiration notifications well before users’ passwords are due to expire. 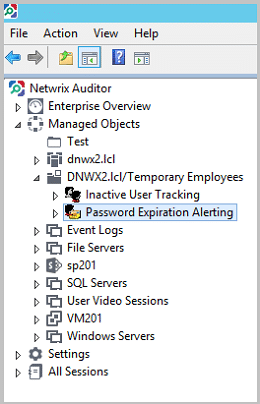 Open Netwrix Auditor console, expand your Domain Managed Object or Specified OU Managed Object then select “Password Expiration Alerting”. Here you will find an easy to use interface that will help you configure password expiration notifications. To start using Netwrix Auditor today download a full featured free trial. Alternatively, you can access our TestDrive (a web-based pre-configured virtual environment where you can evaluate the functionality of Netwrix Auditor in 5-10 minutes) by clicking on the Online TestDrive button at www.netwrix.com/auditor.